Today, I am delighted to present an exclusive interview with ReadingPack Founder Yuval Shoshan. Yuval was so kind to spare some time for this interview from his busy schedule and provide valuable insights about ReadingPack and its development. Below my question are in BOLD and his answers are quoted for easy reading. Will you please introduce yourself. 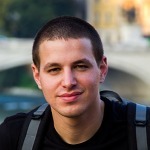 Hey, I’m Yuval Shoshan, an entrepreneur from Tel Aviv (Israel). ReadingPack is my second startup that I’m building. Please introduce ReadingPack to our readers. ReadingPack is like a regular reading list, but social. ReadingPack offers a centralized place to save, discover, and share interesting articles. Articles you recommend in ReadingPack will be in your shared reading list, which anyone can see. You can follow other people’s lists, and discover recommended articles you haven’t read yet. ReadingPack also prioritizes what shows up in your pack (articles you saved for later) based on what is most highly recommended within people you follow. 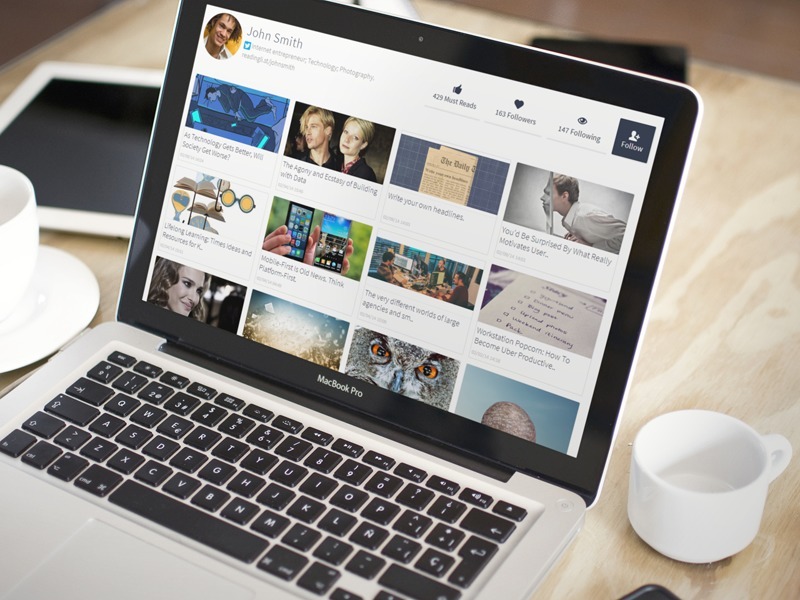 It’s a new way to consume content — by creating a vibrant community of readers and sharers. How did you come up with the idea of ReadingPack? I used Pocket for a long time and had a long and never-ending reading list of articles I wanted to read, although I was reading every weekend (like most of us, I guess). At the same time, I kept searching for new articles on Twitter, Flipboard, Feedly and other apps. I wasted a lot of time on “not missing” what’s happening and reading not interesting articles that I saved (how do you decide what to read in a list of 500 articles?). Every good article that I read I shared “back” to the sea of Twitter and Facebook (like all of us) – and guess what, my friends in FB and Twitter always missed it. How long you have been working on this idea? I released the first version of ReadingPack in August 2013 (after two months of hard work), and I’m working on it every second since then. It’s never ready. What problem does ReadingPack solve that other products in the market today don’t? ReadingPack lets you share what you’re reading in a shared reading list, so anyone can follow your recommendations (you can see it as Instagram for articles, for example). What’s worth reading in my list? ReadingPack prioritizes what shows up in your pack based on what is most highly recommended by the people who you follow, and that’s truly useful. Why people should use ReadingPack? What differentiates Reading Pack from services like Pocket, Readability and others. I believe that all our reading experience should be social. Now we’re using our friends and other people to discover good content (w/apps like Nuzzel, digest from Twitter etc), but all of this data is gone once you save an article to Pocket or Instapaper. Why can’t we help each other prioritize our own reading lists, for example? How will we know which articles should we read now? ReadingPack knows how to do those connections between people and content. This is only one way we’re changing the way people are reading. What is your business model? How do you plan to make money? We’re in a very early stage so I can’t relate for now. Do you have any funding? / How big is your team? Not yet — Bootstrapping for around 8 months, with a very small team (3 people). How does the current growth look like? We just launched our Channel in IFTTT, so we have a pretty good growth now and it’s very exciting. You should try it out: http://ifttt.com/readingpack. How will you define ReadingPack to be a success? What will you do if doesn’t get that success? Success would be to change how you consume articles in the web – to let you read interesting stuff from people with similar interests, without using three or more different tools/apps for that (discover -> save -> share). If it doesn’t get that? That’s easy. We’ll work harder. What keeps you up at night? What are the potential risk you see and how do you plan to mitigate some of these? There are a lot of challenges in different aspects (product, development, growth). Therefore, I need to make many significant decisions along the way: which features to develop now or later (and most importantly, which not), how to make it scale fast (both in product level and development) with a small team and limited resources, etc. I’m thinking about it every day. Would you like to give any suggestions to Techacker readers and beyond? Don’t hesitate to share your feedback with the products you’re using. For good or bad (especially), it’s always helpful. Thanks for all ReadingPack’s users for sharing their ideas and thoughts with me! What would you like to suggest like-minded entrepreneurs? I really like this quote by Dennis Crowley (Foursquare): “Stop sketching. Start building”. That’s all. My heartiest congratulations to Yuval for conceptualizing this idea and launching it as ReadingPack. I, on behalf of Techacker readers, would like to wish you and your team a great success. I would also like to extend my appreciation to Yuval for his time and valuable insights regarding this great service and its development. For those who have never heard of ReadingPack, please do check it out and try it yourself. It’s simplicity is its power – Yuval and his team has carefully picked the most necessary features to make reading what’s important, fun. Below are some other screenshots to help you get started quickly. ReadingPack is also available for Android. Download ReadingPack from Google Play. Feel free to share this article with your friends who might be interested in this new service. Let us know in comments if there is anything else you would like to ask Yuval.